This year, Lourensford brings a brand new and exciting back tie event to the calendar. 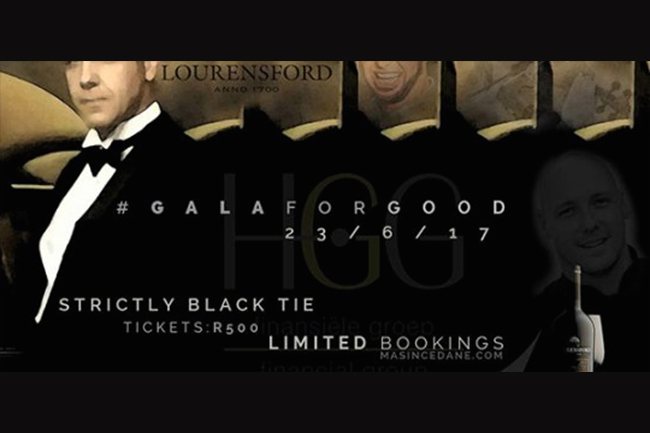 The first ever HGG Lourensford Gala for Good aims to bring celebrities, business and charitable work together in aid of the Masincedane Community Service’s caring, training, employment preparation and upliftment projects in the Helderberg community. In addition to various celebrity event and lifestyle personalities that will take the stage, there will also be a Living Art installation, a silent auction and a Mercedes-Benz display. These all serve to complete what promises to be a sensational evening aimed at bringing much needed support to the greater Helderberg community via the remarkable Project Masi initiative.